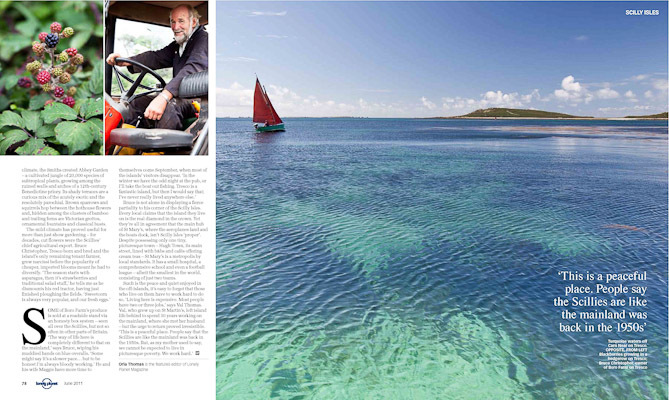 This month's Lonely Planet Magazine is their Islands special issue, and I'm pleased to say I shot the feature on the Scilly Isles. 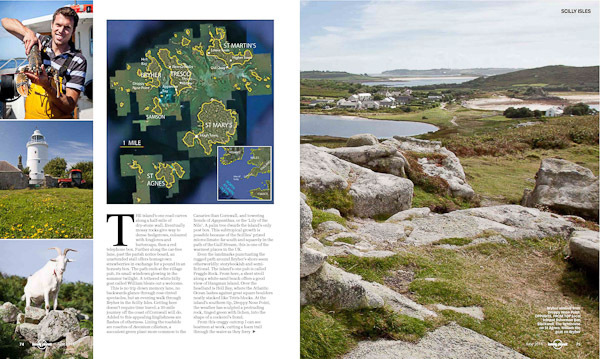 For those of you whose geography is a little rusty, the Scillies are the most westerly part of England - a small group of islands off the South West tip of Cornwall. And to give you some idea of the lead time involved in the magazine publishing business, I shot this assignment in August last year, over 9 months ago! The job was great fun but not without it's challenges. Firstly, the writer and I flew there in the worlds smallest plane, which meant baggage was at a premium, so I had to pack as light as possible. 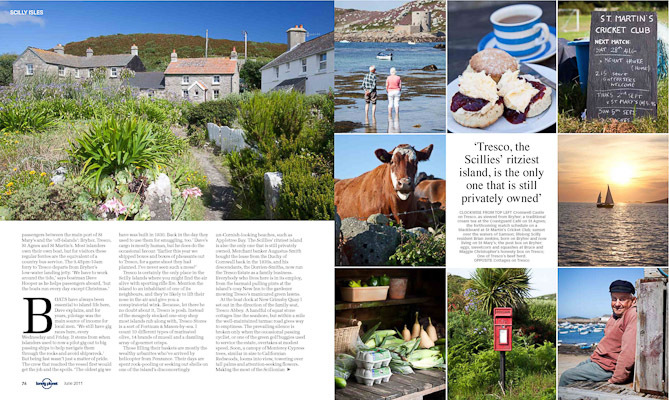 Secondly, the Scilly Isles at first seems quite pedestrian compared to the locations I typically shoot. However after a while the place really grew on me. Dramatic landscapes, interesting locals and thankfully some wonderful weather made the shoot a lot of fun and I came away with a set of pictures I was very pleased with. Here's the layout for the magazine. I'll post some of my favourite outtakes soon. 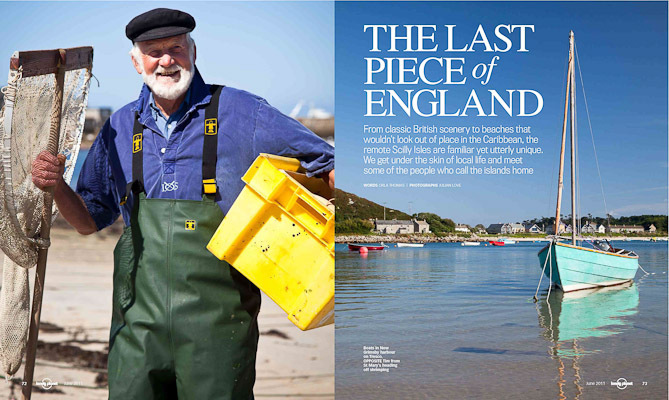 Big thanks to Art Director Hayley Ward and Features Editor and Writer Orla Thomas. Great set of pictures Julian! How long would you typically get to shoot a story like this? Hi Richard - in this case the writer was with me for 3 days and I stayed on a couple more days to ensure I got some good weather. 4-6 days for a magazine travel assignment is pretty typical.